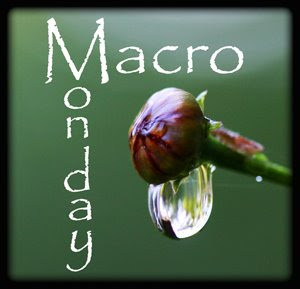 I really enjoy participating in Macro Monday, because macro photography is one of my favorite types of photography. My photo for this week definitely fits in the 'macro' category in my opinion, because this Summer Azure butterfly, was smaller than a dime (It definitely doesn't need any diet supplements). It flitted around in front of me as if calling to me to take its photo. So, I whispered to it, "If you land, I'll take your picture." 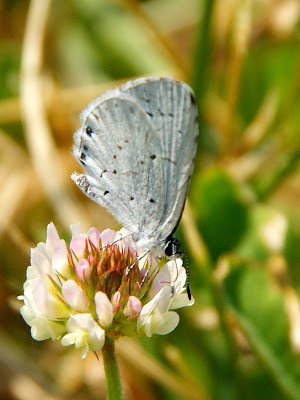 It then landed on some clover. I then whispered, "O.K., but now you've got to show me your pretty face." I smiled, because it then proceeded to crawl over the clover flower and peek at me. So, I obliged it and took its portrait. What a beautiful butterfly, Misty. I haven't seen those here. Lovely shot. What a tiny little fellow! I can tell how small since he's on a clover, my golly you have great eyes! Gorgeous macro! I love these creatures! !